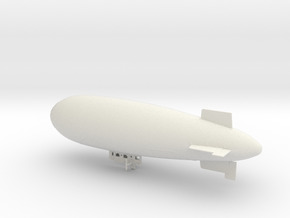 This 1/500th scale model is suitable for use with the "FROG" (and later "Maquette") 1/500th scale R-100 Airship plastic construction kit. 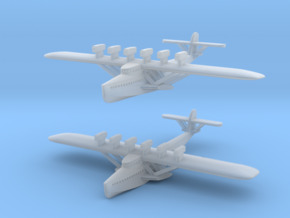 The tower has a 2.5mm hole to take the metal rod provided with the kit but I do recommend that the airship model is given extra support around the mid hull position - a single mounting rod into your base board will suffice. 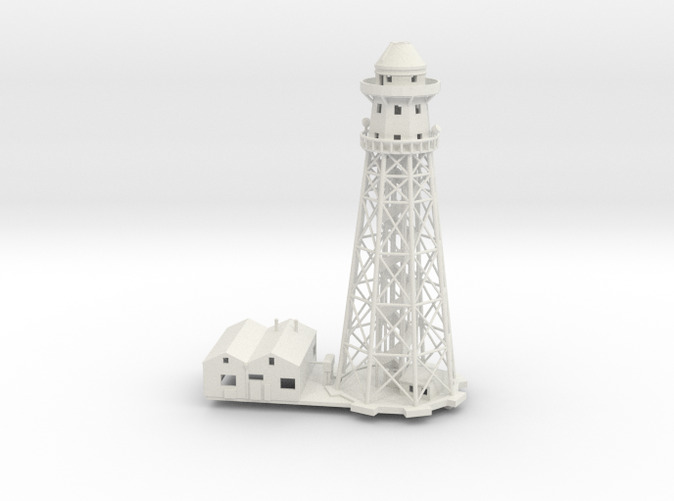 The mast model separates into two parts to allow for painting the inside edges of the tower, the stairway and lift-shaft equipment. Simply trim off the two "U" shaped sprues from the base to enable the central part to be removed. ADDITIONALY I've provided a finer scale nose section for the R-100 and a matching mast head to give you the option of modelling the R-100 coming in to moor at the mast or indeed, moored more realistically at it. 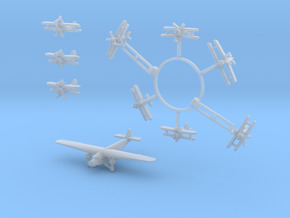 Again, you will need to provide a separate support for the airship model around the mid hull position. 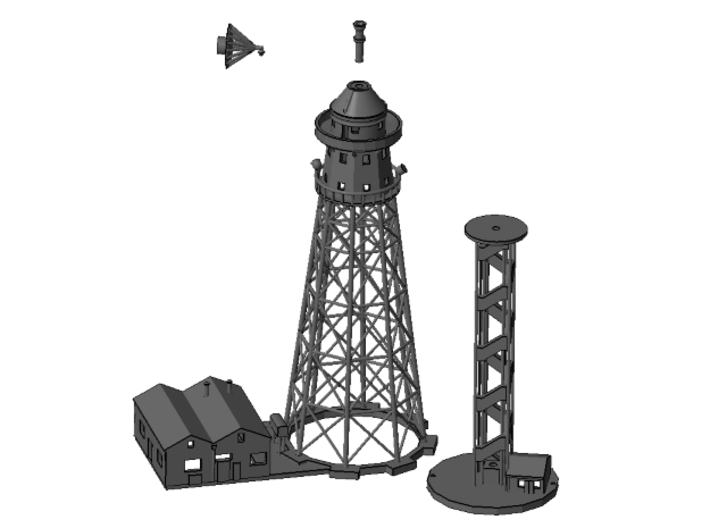 You will find the separate nose cone and mast head on sprues inside the main building on the mast model. Cardington in Bedfordshire, England was to become one of the World's best airship facilities. 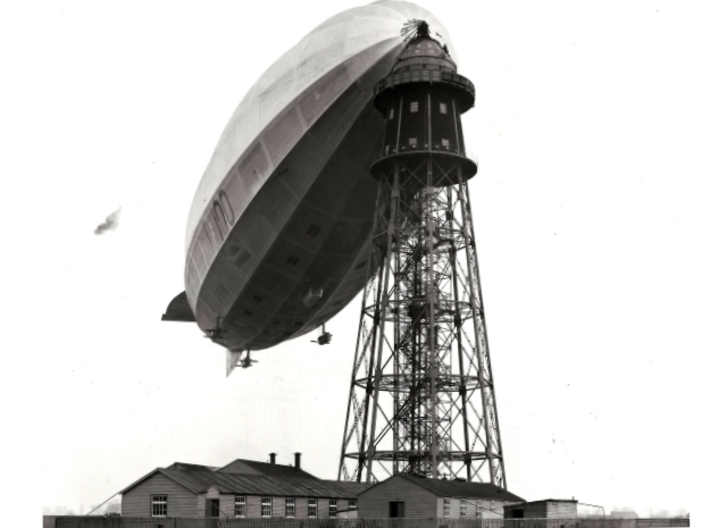 With the economic depression of the post Great War years, the original Airship Station was temporarily closed in 1921 after the R38 had been completed. However, it was reopened in 1924 following the British government's announcement of the start of the Imperial Airship Service and construction contracts for the R101 and R100. For communications a wireless station and control tower were built on the site and then this huge airship mast was erected in 1926. At 202 feet (61.6 mtrs) high and 70 feet (21.3 mtrs) in diameter at the base, the tower was the first ever cantilever mooring mast to be built. The R100 was first moored to the mast on 16th december 1929 after making her maiden flight from her construction shed at Howden in Yorkshire. Cardington was to be her operational base and she commenced a series of test flights which proved her to be a successful design. 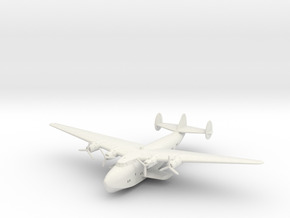 Some detail changes were found to be necessary but after just seven test flights over the UK, she was fit and ready to take on the intercontinental journeys for which she was built. At 02.48am on the morning of 29th July 1930, R100 let go of the mast at Cardington to start her epic voyage over the north Atlantic toward the Newfoundland coast and on to Montreal, arriving on 1st August at 05.37am. The visit was extraordinarily successful and included long demonstration flights and an opportunity for thousands of people to visit R100 via the new mooring mast at St Hubert's Field. But the festivities had to come to an end and, on 16th August 1930 R100 made her return journey to Cardington Mast, arriving home on 16th August 1930 at 11.06am. The R101 on the other hand, was actually built at Cardington and also made her tests flights from this mast. On October 1st 1930 she set off for India on a final voyage that was destined to close the Imperial Air Service and end forever Britain's plans for an intercontinenal airship fleet. Similar masts were built in Ismailia in Egypt, Karachi in northwestern India and as mentioned above, at Saint Hubert Airfield, Montreal. Cardington Mast was demolished in 1943 to provide materials to help the WWII war effort.